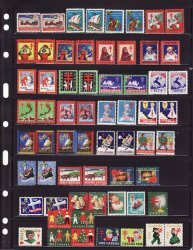 Saint Crispen Canada National Christmas Seal Stamp Album for Canada Christmas Seals 1927 to 2001. New, fifty-five (55) album pages printed on 8.5x11" acid-free 80 lb. card stock. Saint Crispen Canada National Christmas Seal Stamp Album for Canada Christmas Seals 1927 to 2001. New, fifty-five (55) album pages printed on 8.5x11 inch acid-free 80 lb. ivory, white, or light gray card stock, with square corners. Pages are punched for a three (3) ring binder. 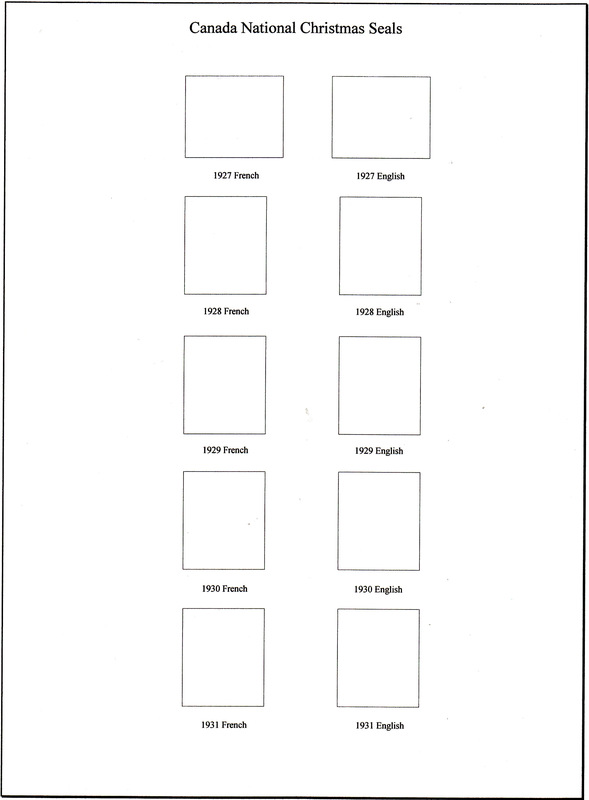 Album provides spaces as required, including spaces for singles, pairs, blocks, and full sheets; as well as French and English text, slogan blocks, and booklet panes. Sheet protectors are required and not provided for the full sheets of seals. 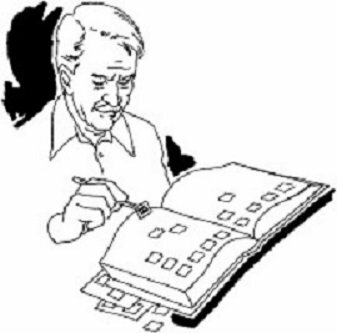 Saint Crispen Stamp Albums are published by William J Kozersky, Philatelist. This item weighs 2 lb. 14 oz. and cannot be shipped with USPS First Class Mail, does not qualify for USPS Media Mail to U.S. destinations, and will not fit into a USPS Flat Rate Priority Mail Envelope.